Dry skin is something that drives me crazy but putting chemicals on my skin is something I’m not willing to do to moisturize it. 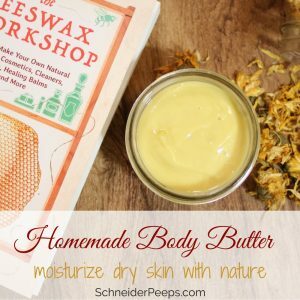 I’ve been on the hunt for a homemade moisturizer for quite a while. I’ve tried several recipes and techniques; some have been super oily and didn’t absorb well, others had water so were lighter but went rancid quickly. I’m so happy to have found a body butter that isn’t oily and doesn’t have water in it. I found the recipe in Chris Dalziel’s new book The Beeswax Workshop. I tweaked the recipe just a bit and asked Chris if I could share it with you. She’s super sweet and, of course, said yes. This book is pretty amazing and I’ll share a bit more about it after the recipe. Sweet Almond or Olive Oil, either of these oils is good for any skin type. Sweet almond oil is a drier oil, so I prefer to use sweet almond oil. Shea Butter is super emollient and used to treat damaged and dry skin. It is naturally rich in Vitamin A and E, has some essential fatty acids and offers low level sun protection. Beeswax has anti microbial properties and helps seal in the moisture on your skin. It will also help firm up the body butter so you don’t have an oily mess. Vitamin E acts as an oil preserver and helps the body butter from going rancid. Calendula is a herb (flower) that is widely used in skin care. It’s soothing and healing. You’re going to infuse the almond oil with the calendula. Here’s how to infuse oil, if you’ve never done that before. Lavender essential oil is skin healing oil that is also an extremely safe oil. Lavender oil is often used to treat blemishes and to counter sun damage. Myrrh essential oil is a great addition to a body butter for those of us who are a little more “mature”. It helps reduce the appearance of fine lines and helps heal sun damaged skin. Chris’ recipe used marjoram oil but I chose to use myrrh oil instead, mainly because I didn’t have marjoram oil but had myrrh oil. Over the years I’ve used a lot of different brands of essential oils. I’m now in the process of just using Rocky Mountain Oils. They have quality oils and make each batches GC/MS test results available, they also practice environmental sustainability in harvesting, packaging, and recycling. These are things that are important to me. Make a double boiler by putting a couple of inches of water in a pan and then putting the mason jar in the pan. Put 4 tbsp of the calendula infused almond oil in a half pint size mason jar. Add the shea butter and the beeswax. Gently heat the water and stir the oils until the beeswax and shea butter are melted. Once they’re melted, turn off the heat and let it cool. After it cooled and is lukewarm, stir in the Vitamin E and the essential oils. Stir well. You can whip the body butter with an immersion blender. When I found out that Chris of Joybilee Farm was writing a beeswax recipe book I was really excited. However, I had no clue it would have as many recipes in it a it does. I started stalking her on Instagram when I saw that she was sharing photos of the products and I was amazed at the simplicity and the creativity that she shares. 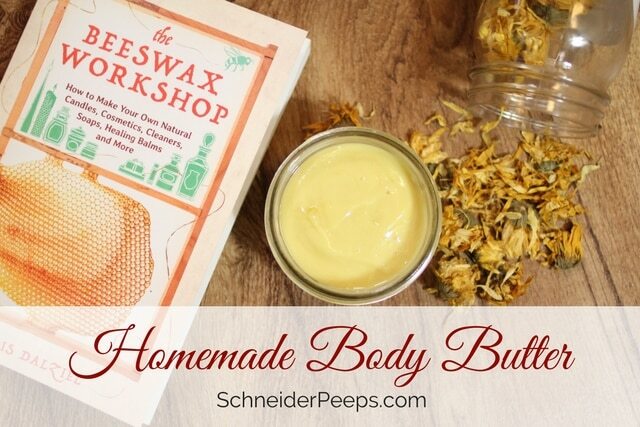 In The Beeswax Workshop you’ll find recipes for body care products, home and garden products, and craft products. 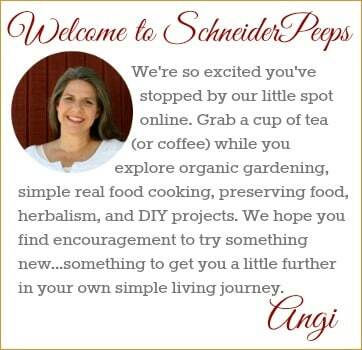 With over 80 recipes there really is something for everyone. 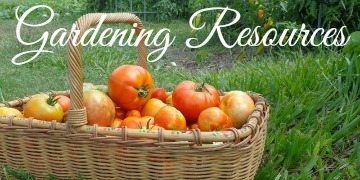 All the recipes use beeswax either as the primary ingredient or a supporting ingredient and all the other ingredients are natural, non-toxic ingredients that you can probably find in your local grocery or health food store. If you’ve ever visited Joybilee Farm you know that Chris is a very thorough researcher and communicator. So her beeswax recipe book is not just a book of recipes, it’s full of information about bees, beeswax and each of the ingredients. Chris is a teacher at heart and it shoes in her writing. I do wish the book had color photos but that would certainly make it out of my price range as I’m sure it would price others out too. I was particularly impressed with the grafting balm for grafting trees and the bee swarm lure. I’ve been dabbling in dyeing fabric with natural dyes and can’t wait to try making batiks. 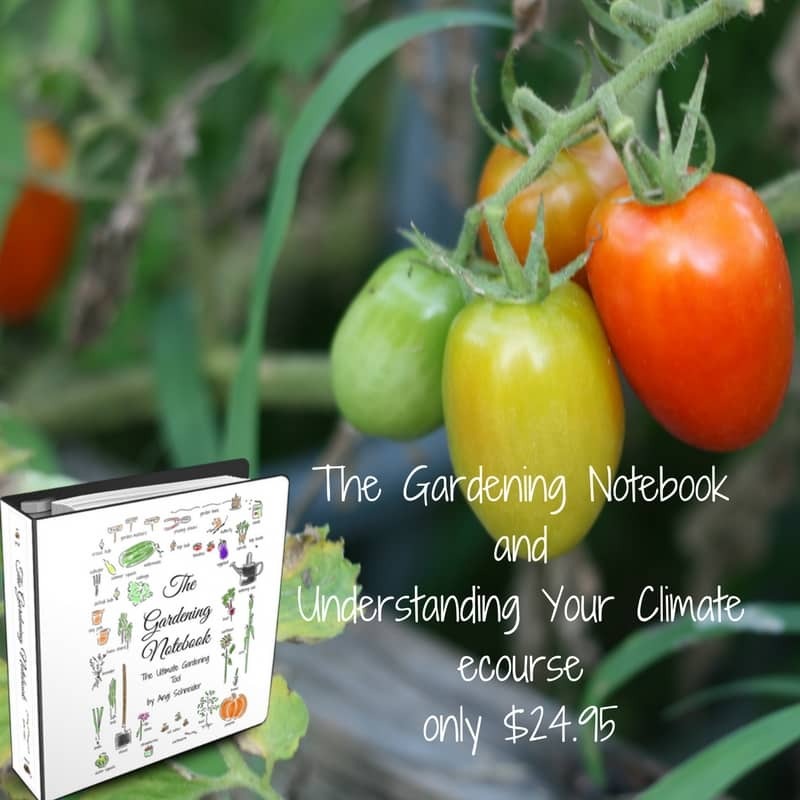 As I perused the book I made a list of gifts I could make for others, items I could use in my home and garden, and projects I can do with my girls. Now for the hard part, deciding which one to do next. 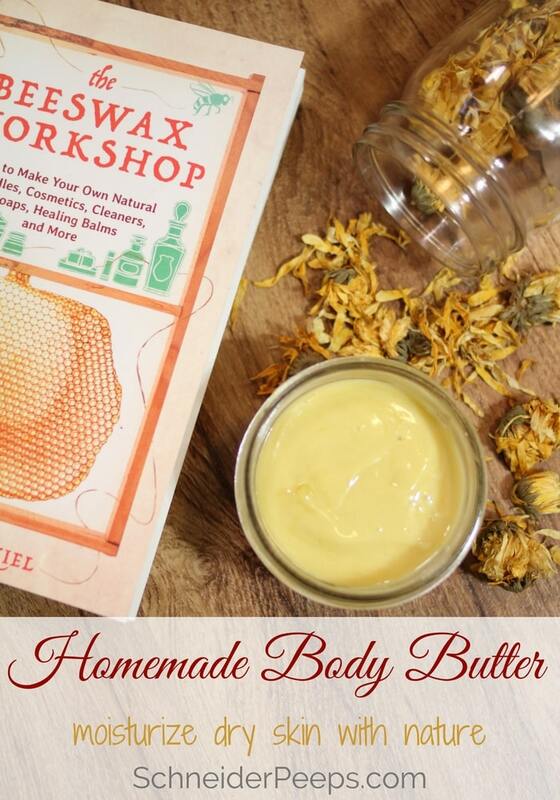 Do you make your own body butters? If so, feel free to leave any tips in the comments.